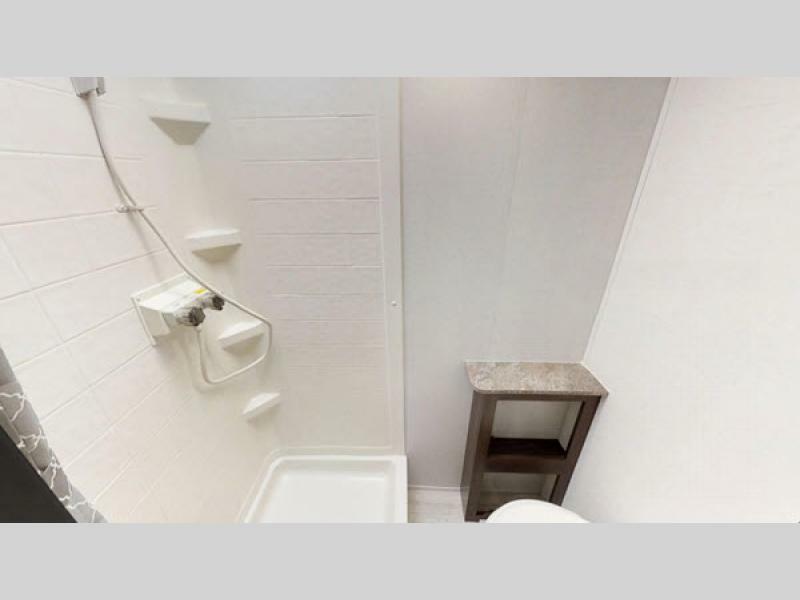 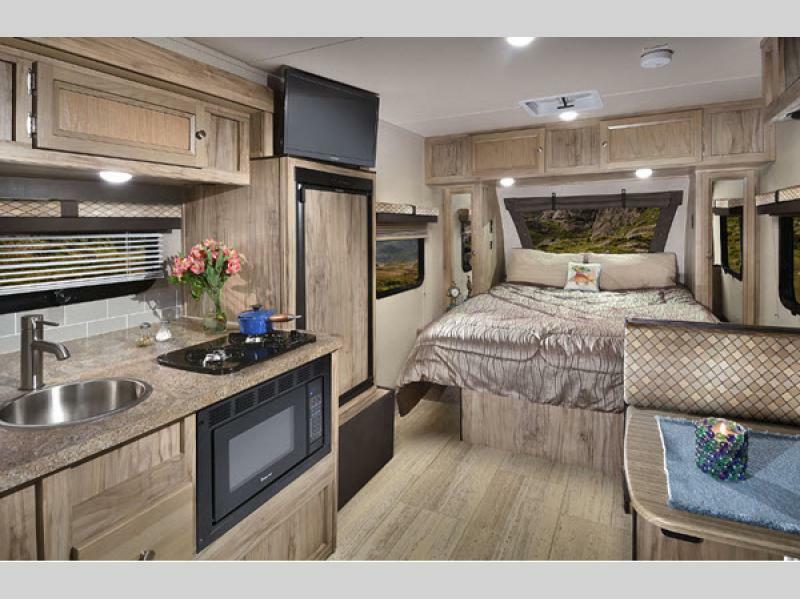 The Palomino PaloMini will amaze with all the many standard features that have been included, such as maple hand glazed cabinets, ball bearing drawer guides, and a 5 cu.ft. 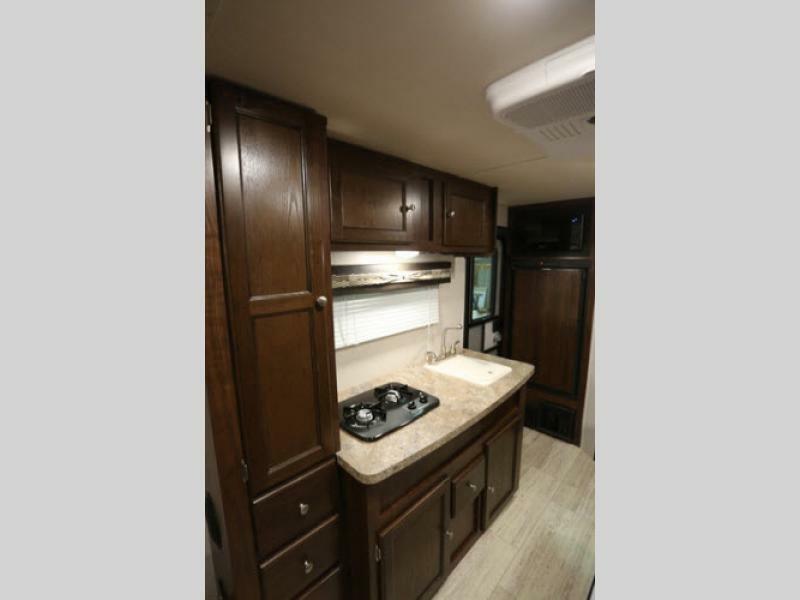 refrigerator. 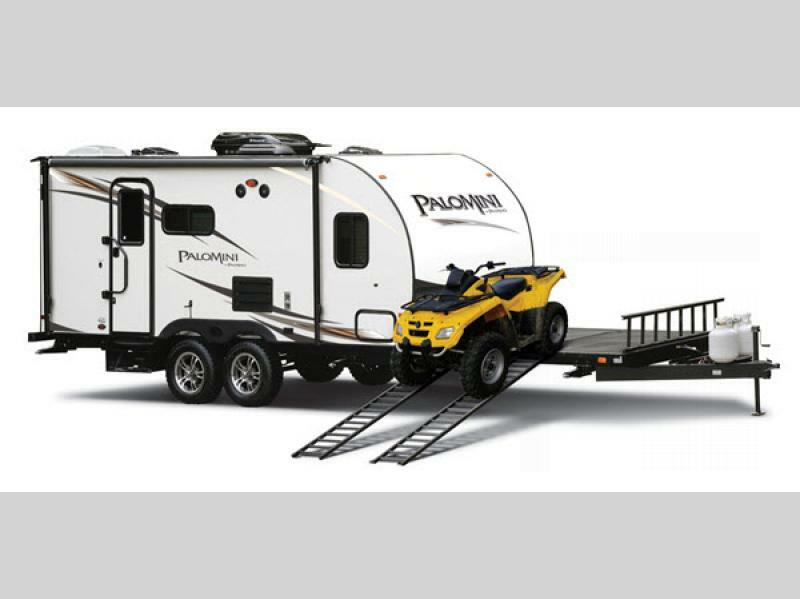 Palomino brings great value to its product with top-quality materials, and the lightweight construction of these trailers is what enables them to have a better fuel efficiency rating. 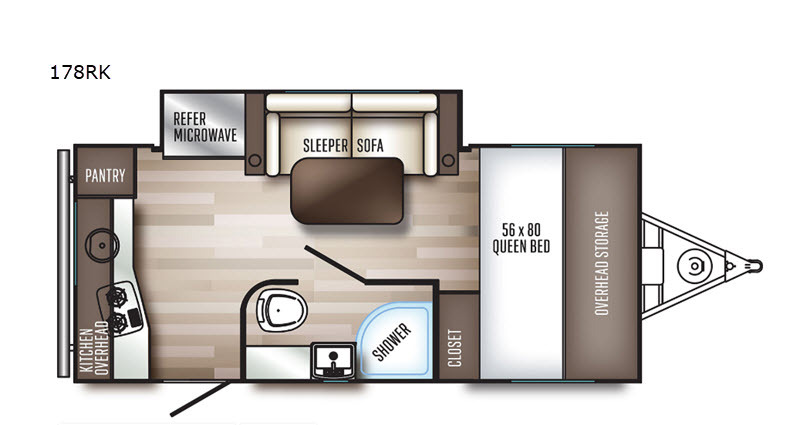 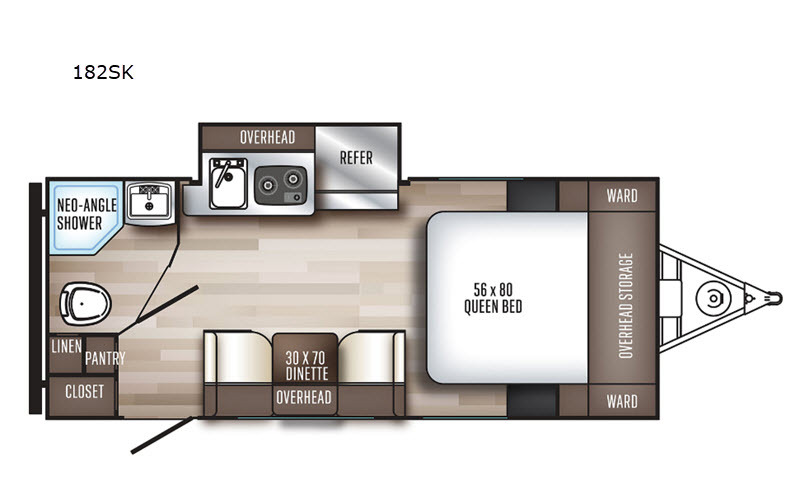 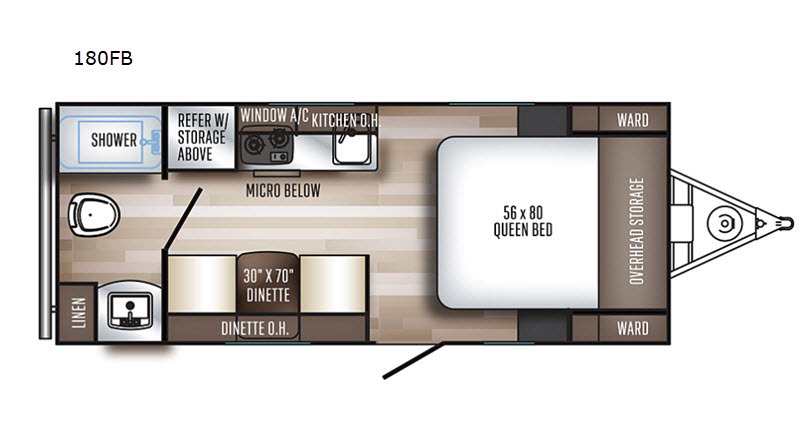 If you are looking for a new kind of RV experience, the PaloMini is perfect for you. 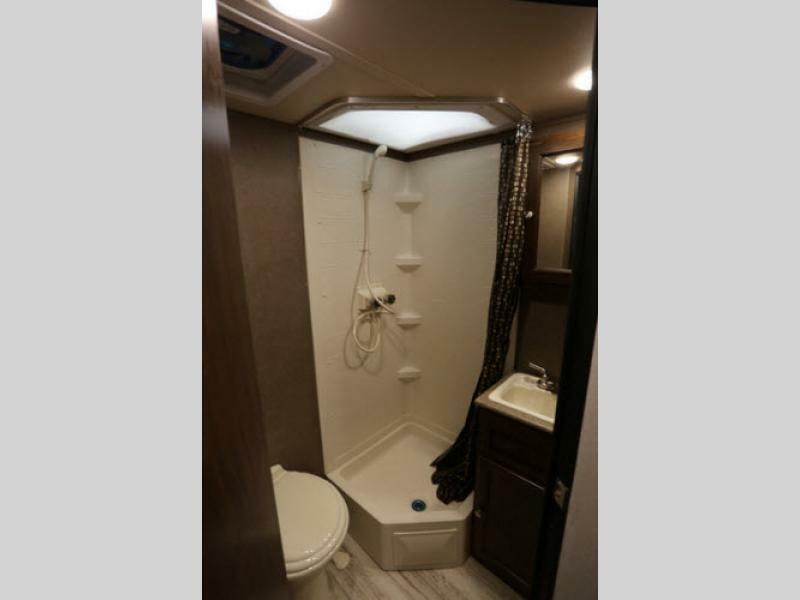 The laminated, walkable roof makes it easier to clean the top of your trailer and to keep it in good condition. 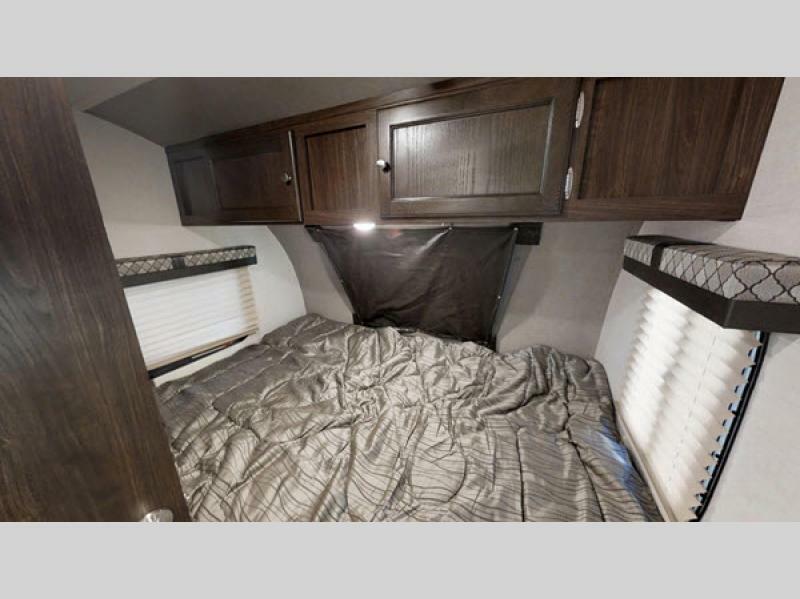 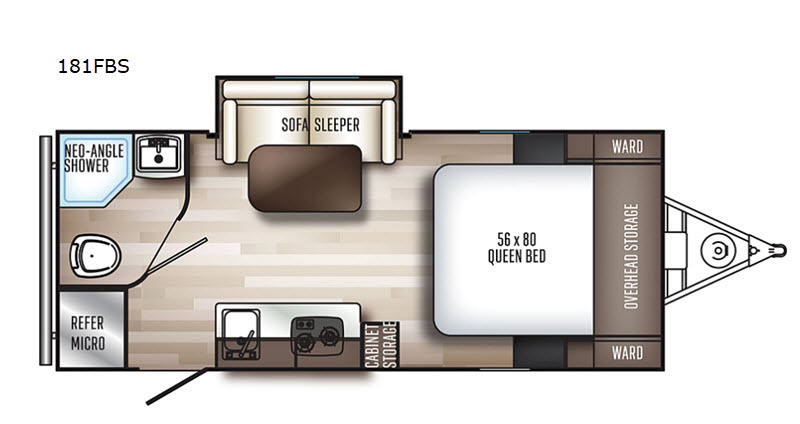 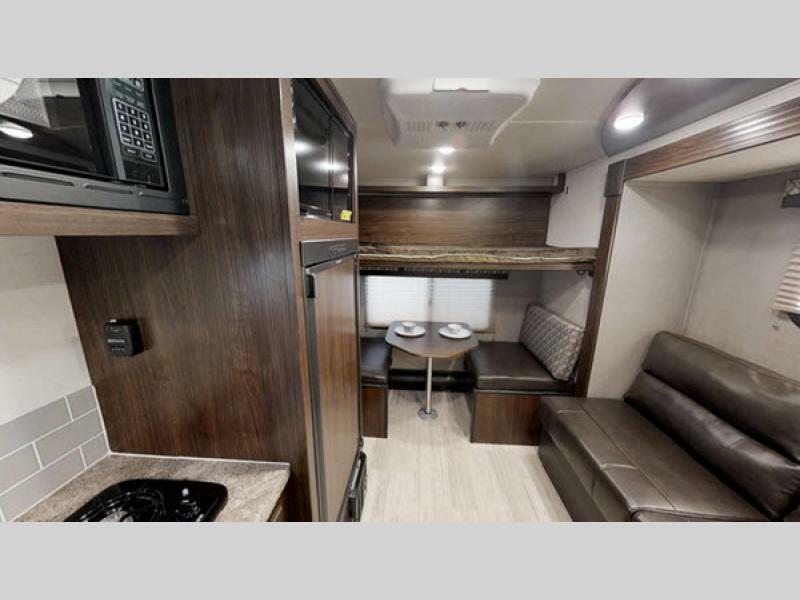 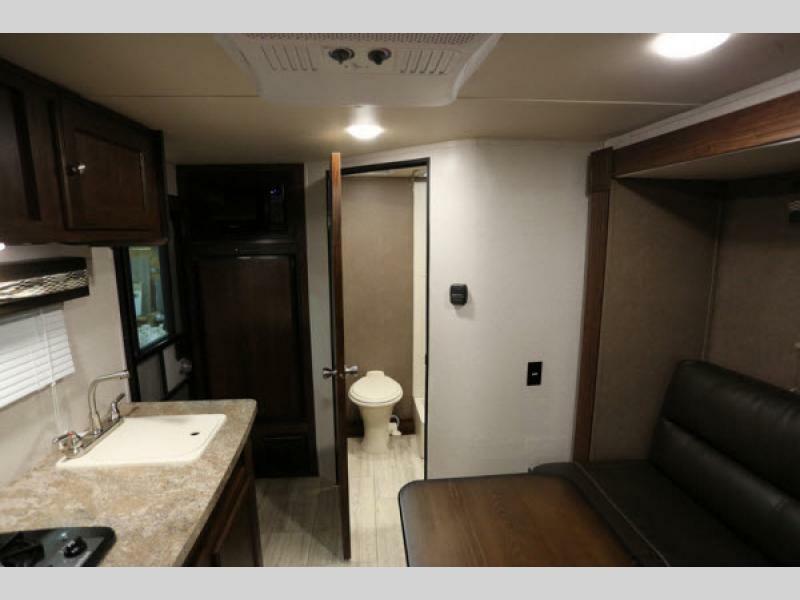 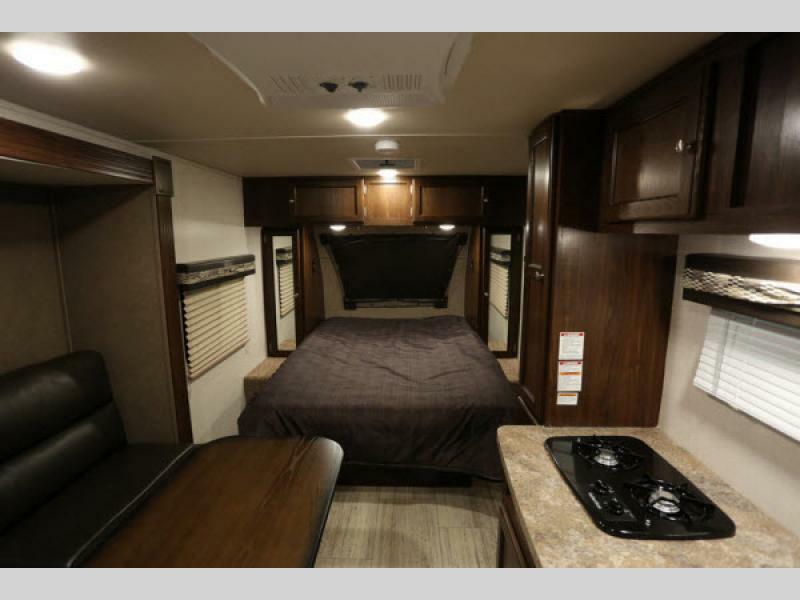 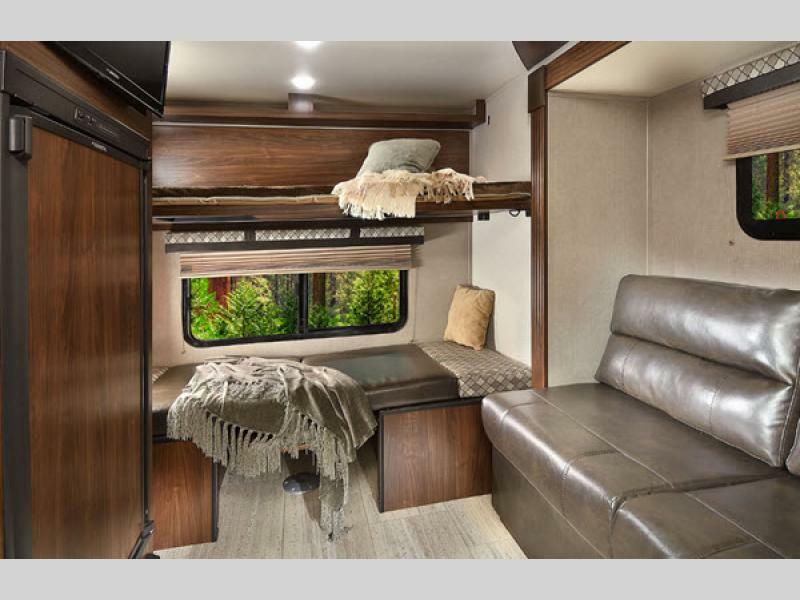 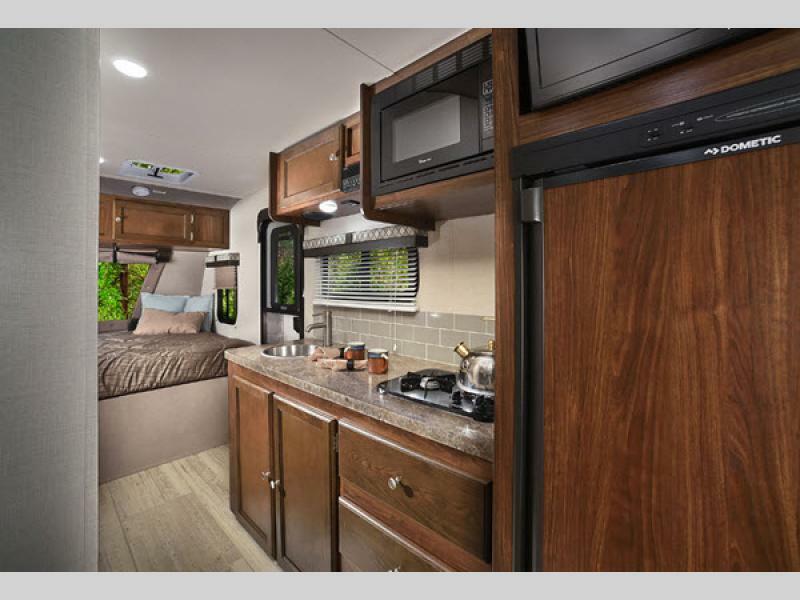 The interior of each PaloMini is kept bright and cheerful with its LED lighting located throughout; however, you may never want to get out of bed to experience the rest of the trailer since Palomino has included a pillowtop memory foam mattress in the bedroom. 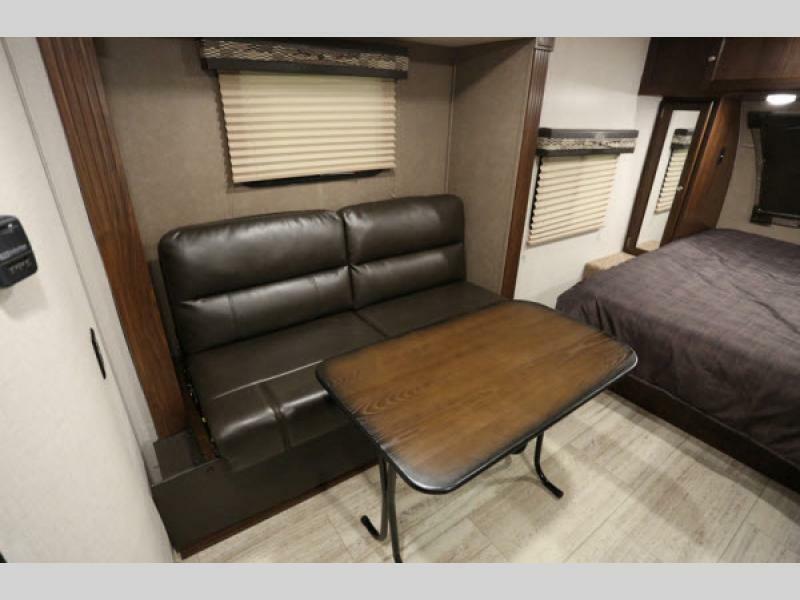 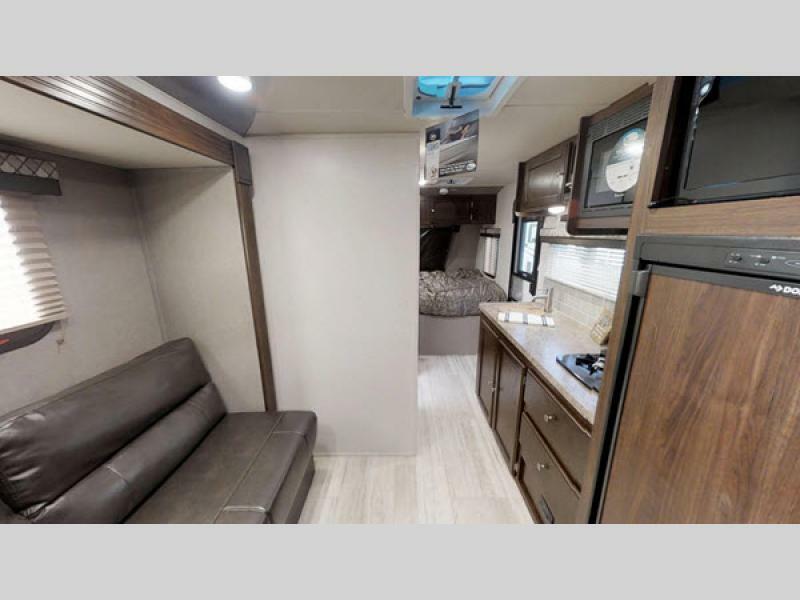 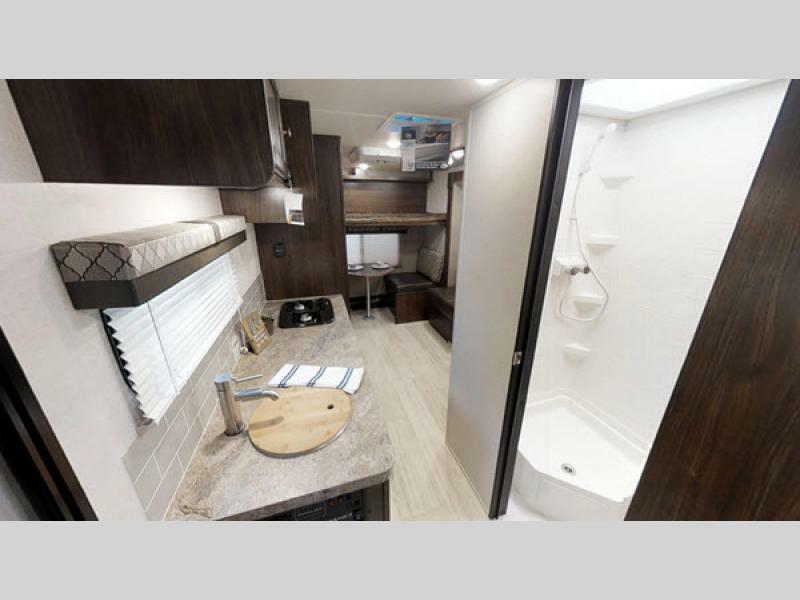 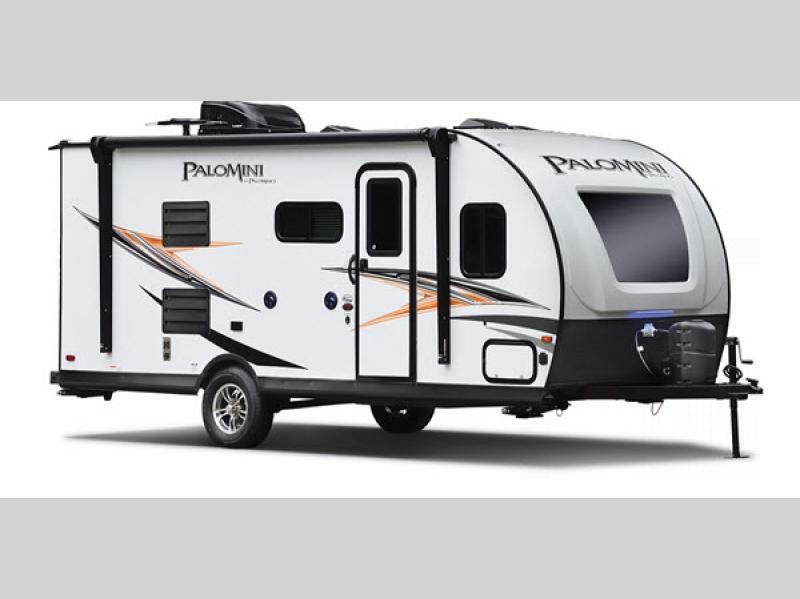 Check out Palomino's line of PaloMini travel trailers to find your very own quality-crafted RV!